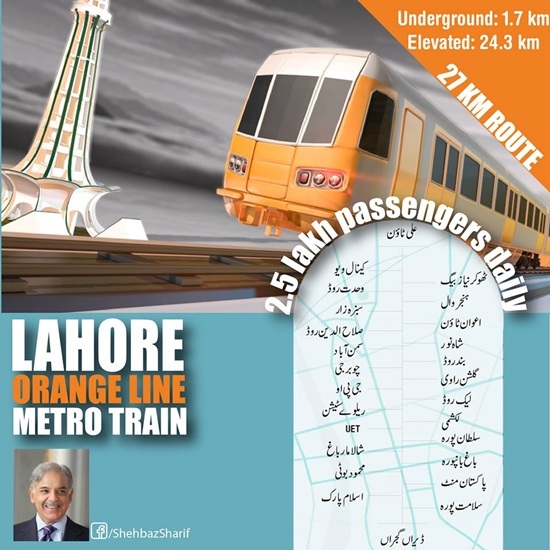 Lahore Orange Line is Pakistan's first Metro Train. 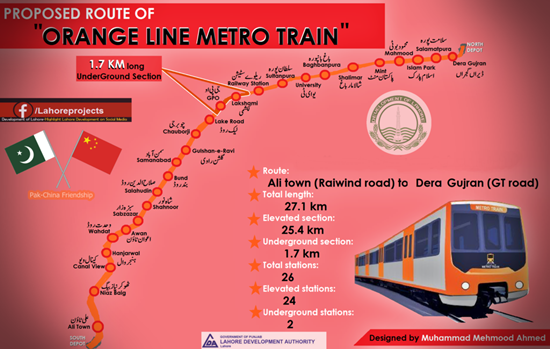 Total length of the route is 27.1 km, 25.4 km of it is elevated section while 1.7 km is underground section. There will be 26 total stations. 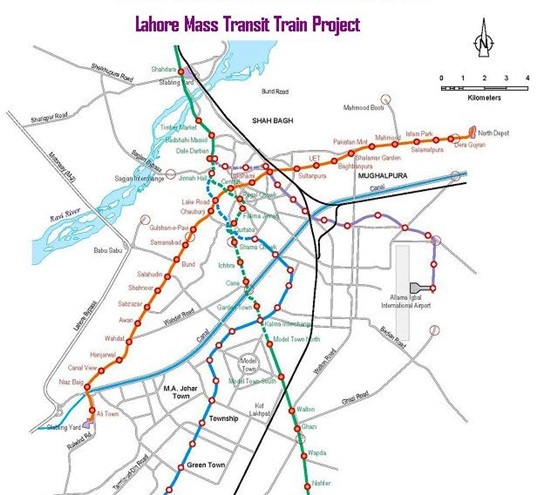 When completed it will connect Raiwind, Multan Road, Mcleod Road, UET, Lahore Junction Railway Station and GT Road. It starts from Ali Town and ends at Daira Gujran. 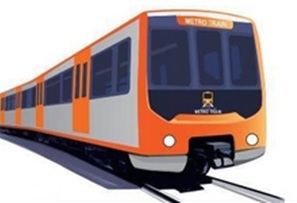 This train will initially facilitate to 2.5 lakh passengers daily.